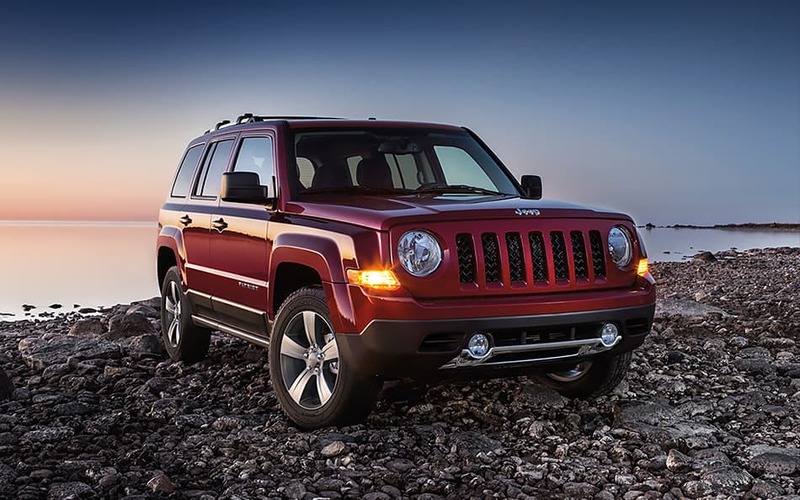 The Jeep Patriot is a four door SUV that comes fully packed with all its updated features and a selection of four different trim models to choose from such as the Sport, Sport SE, and High Altitude. Bring its power and performance, along with its interior/exterior features and its off-roading capabilities. Its no wonder why the Jeep Patriot is the SUV that was given its Trail Rated Tough Seal of Approval. The SUV brings the best power and performance to the great outdoors with its freshly designed 2.0-Liter I-4 World Gas Engine. The I-4 is constructed with High-pressure die-cast aluminum block with dry iron liners, cast-aluminum cylinder head, cast-aluminum ladder frame, and a forged steel crankshaft while offering four-cylinder inline system with a Magna Driveline T355 five-speed transmission feature. The transmission helps push power to the engine with 158 horsepower @ 6,400 RPM and 141 ft-lbs of torque @ 5,000 RPM while offering a towing capacity of up to 2,000lbs. With its fuel economy, the Patriot can offer enough fuel on its 13.6-gallon tank with a combine 26-MPG (23-city/30-highway). And with its performance, the SUV offers the best All-Wheel-Driver features such as the Freedom I package, which provides you with active, full-time 4x4 capability with Brake Traction Control and selectable LOCK mode. The Freedom I features an Electronically Controlled Coupling (ECC) that monitors wheel slippage and transfers torque to the axle that can use it most. In tough conditions, it can be locked 50/50 front/rear for added low-speed capability and control. With its inner and outer features, the Patriot comes equipped with nothing but the best features trim its select trim models, one of the offered models is the Patriot Latitude. The Latitude is always ready to head to the outdoors with its authentic exterior rugged features that's worth the purchase, for instance the Latitude comes with 17-Inch x 6.5-inch aluminum wheels, halogen and fog headlamps, its signature seven frame grille, bright exhaust tips, a roof rack system, power heated mirrors, solar control glass, and group options such as the Sun/Sound, Trailer Tow Prep, and Security & Cargo Convenience Group package, all for the exterior. The Interior offers five passenger seating with its 60/40 folding features for second row that gives plenty of cargo space in the rear. And with its Interior Appearance Group by Mopar package comes with Bright Door Entry Guards, Bright Pedal Kit, Cargo Area Liner, Premium Floor Mats with Logo, and T-Grip Shifter. Along with its signature Uconnect Access System, the Patriot Latitude is the perfect trim model to choose from. Where is Lunch Chrysler Dodge Jeep RAM located? Can I take a virtual tour of a vehicle? Of course you can, just head to our Virtual Tour Section! Is Lynch Chrysler Dodge Jeep RAM open on Sundays? Unfortunately we are not open on Sundays! 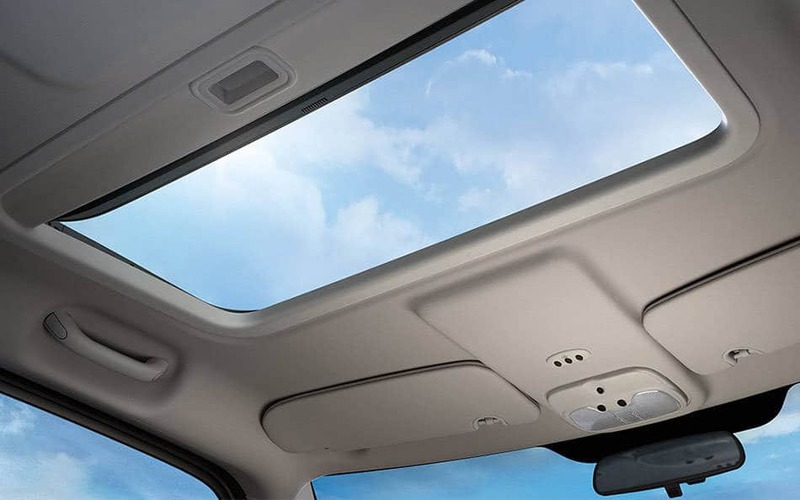 Jeep deeply cares about the safety of its drivers and passengers, but with its amazing safety and security features placed, its no wonder why the Jeep Patriot is the perfect segment for you. With features such as its standard airbag system, and its multiple control systems such as traction control or hill-start assist, makes the Jeep worth the purchase. 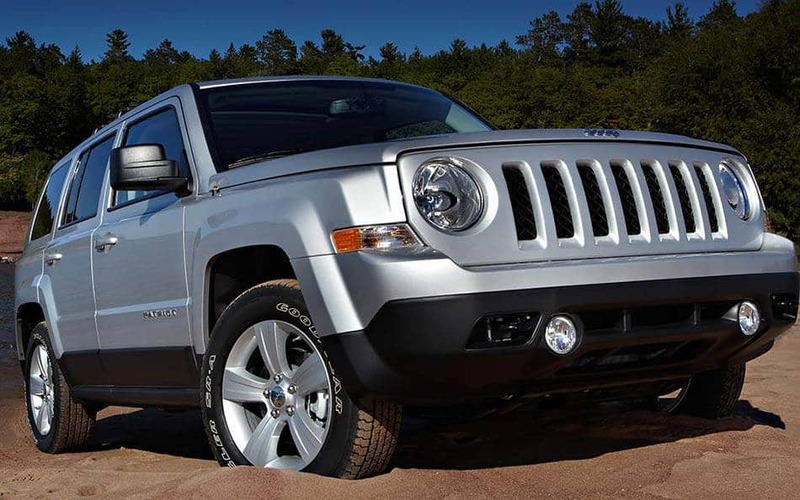 The 2016 Jeep Patriot is the perfect Trail Rated Tough system that offers the best outdoor features and brings the best power and performance to the table. Making it worth the purchase at the Lynch Dodge Chrysler Jeep RAM Showroom.